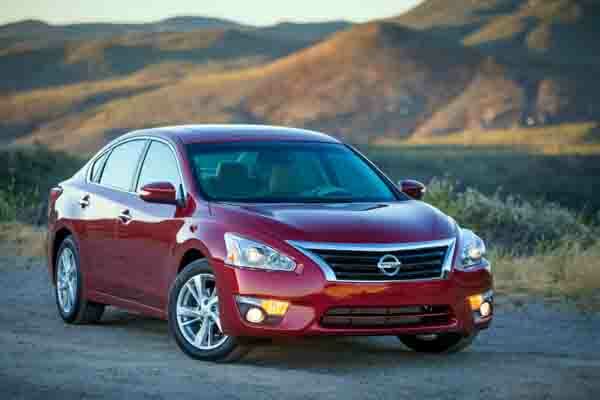 Nissan Altima / 2.5L / GCC / FULL OPTION / LEATHER / SUNROOF / CREDIT CARD PAYMENT ACCEPTED!! GCC spec Nissan with Trailer coupling, 15″ wheels and AUX audio in. Price reduced! 2016 Nissan Altima, priced at AED 41,500, with features such as airbags (front and side), bluetooth system, tuner/radio. It has black interior and is Grey/Silver. GCC spec. Brown 2016 4 cylinder sedan. Price AED 45,500. Beige interior. It has power locks and AUX audio in. 2016 Nissan Altima with power locks, analog clock, USB. It has grey interior and is White. White 2016 sedan for AED 45,000. Beige interior. It features fog lights, 17 inch wheels and parking sensor rear. Grey/Silver sedan with black inside. It has LED headlights and cruise control and has 17 inch wheels. Automatic Nissan Altima with 16 inch wheels, tuner/radio, air conditioning, grey interior, white exterior. 2016 Nissan Altima with Tuner/radio, 17″ wheels and Airbags (front and side). Price reduced! 4 cylinder white 2015 sedan. Beige interior. Power windows, 16 inch wheels and ABS. 2015 Nissan Altima white sedan, beige on the inside with parking sensor front and front wheel drive. 15″ wheels. 2016 Nissan Altima with features such as bluetooth system, fog lights, rear camera. It has grey interior and is Grey/Silver. GCC spec. GCC spec 2016 Nissan featuring premium sound system, tuner/radio, climate control. White with grey interior. 2016 Nissan Altima with keyless go, power locks, air conditioning. It has beige interior and is Black. 2015 Nissan with cruise control, AUX audio in, tuner/radio. Black with beige interior. 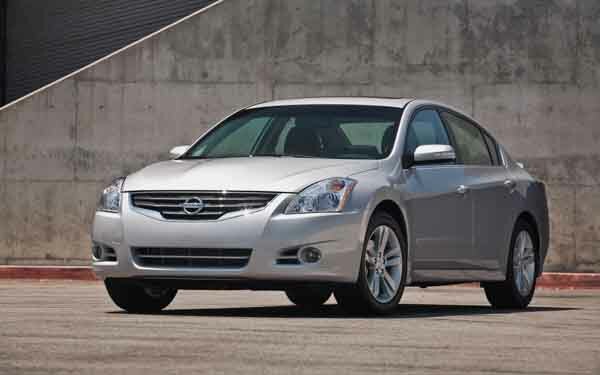 Nissan Altima for AED 68,900 with many features, including AUX audio in, air conditioning, rear camera. White with beige interior. 2006 Nissan with premium paint, air conditioning, fog lights. White with beige interior. 4 cylinder brown 2017 sedan. Beige interior. AUX audio in, 15 inch wheels and climate control. 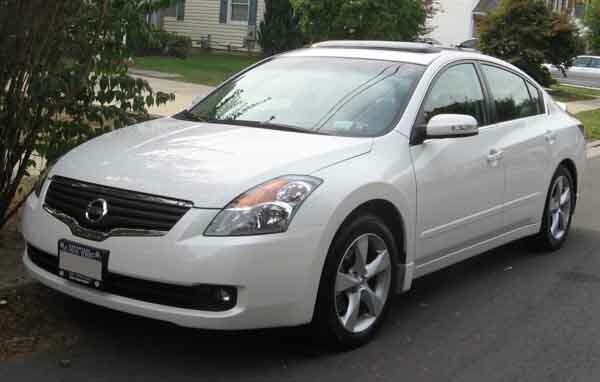 Nissan Altima white sedan, beige on the inside with airbags (front and side) and tuner/radio. 16″ wheels. 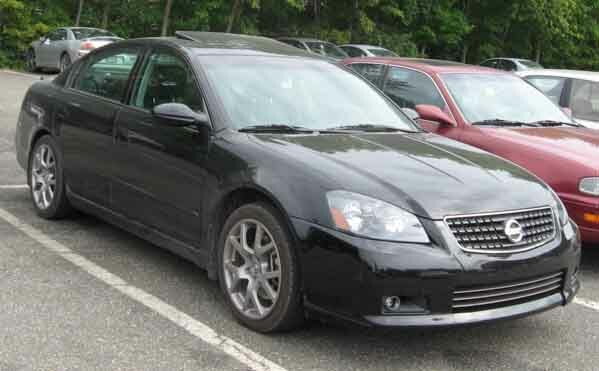 Automatic 2008 Nissan Altima with 16 inch wheels, ABS, tinted windows, beige interior, green exterior. Leon - I bought my Altima a few weeks ago and I must say it’s a good car. Reliable, cost effective and looks good, not to mention powerful even with a four cylinder. Some of the interior pieces are falling off though. Pros: Reliable, powerful and has good options. Khalid - Coupe has a unique style and is very powerful, very reliable and no major problems over the past couple of months. Pros: With the V6 motor its got power and looks good in coupe. Zaher - I previously owned a Camry and Accent, they were both good cars but didn’t have the looks of the Altima nor did they have the power, and the SV Xtronic trim level is the best. Pros: Good power and looks. Cons: Cramped rear head room. Two engines are better than one. If a four cylinder motor doesn’t tickle your fancy but you really like the Altima and just wish it had more power. You’re in luck as a V6 option is available. It’s not just two engine choices, you’ve got two body choices as well. Coupe or sedan? Which one do you want? Reliability and practicality are two things most cars just don’t seem to have. Not the Altima as it’s the best of both worlds. Lots of space inside the cabin and in the boot. Perfect car for school runs and trips to the mall. Any Nissan has great resale value, whether its GCC or an export vehicle you’ll find a buyer for your pre owned Altima any day of the week. Not just that, it’s easy to buy used Nissan Altima in Dubai, UAE. 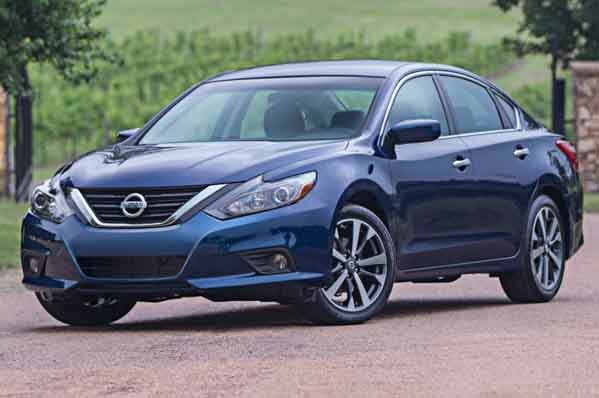 Carrying on from the beloved Nissan Bluebird, in 1992, the Nissan Altima rolled on Asphalt for the first time, and ever since then its popularity has continued to grow. Originally produced solely as a sedan, Nissan wanted to garner some more interest in the Altima brand name and added a coupe model packed with a 3.5L engine. While it did prove popular, it has it’s fair share of rivals to stack up against including the Honda Accord, Mazda 6 and Toyota Camry. Making it’s debut in the UAE in 2005, some 13 years later, it won the hearts of many looking for an affordable sedan, it outclassed both the Camry and Accord at launch and proved more powerful. Standard features included power windows, adjustable steering wheel and a tinted windscreen. Optional extras included power mirrors, power seats, cruise control, leather upholstery and a multi speaker stereo sound system. Two engines can be found underneath the bonnet, either a 2.5-litre inline four cylinder motor generating 175 horsepower. Drive is sent to the front wheels via a 4-speed automatic or 5-speed manual transmission. If more power is your thing, a V6 3.5-litre is available. With 250 horsepower sent to the front wheels via a 6-speed manual or 5-speed automatic. 2008 marked the first first appearance of the the Nissan Altima Coupe. With minor revisions all around to make the sedan more appealing to the masses, strong sales continued thought the world even as import cars. Standard remained the same with the addition of the multi speaker sound system and keyless entry. Those looking for more can find a used one with a Bose sound system, 17-inch alloys, sunroof, cruise control and powered front seats. Front airbags, Brake Assist and ABS, are all standard with higher trim levels receiving side curtain airbags too. Once again, two engines were on offer, the automatic transmissions were replaced by a CVT gearbox which suprasses the speed of gear shifts over the old auto gearbox. Horsepower in both models increase by 4 to 20 horsepower. Both the sedan and coupe were available over this three year period. With a minor retouch both inside and out. Beige was the only colour of choice for the interior in the GCC at least. Base 2.5 models features 16-inch rims, CD player, manual seats, electric windows and keyless entry, while higher trims received a Bose sound system, rear camera, fog lamps and an optional sunroof. 3.5 models were either basic, 3.5 S, 3.5 SV or 3.5 SL depending on what region. All came standard with the equipment mentioned above and swaps the the 16-inch rims for 17-inch alloys and adds leather upholstery. Optional extras across all trims include an internal storage device, DVD player, 6.5-inch display, xenon headlights and more. No changes to the transmission, engines or horsepower figures. Why fix what works well right? Nissan really wanted to keep the Altima fresh by updating it every few years, the coupe was dropped from the menu and once again the entire body and interior was tweaked to fend of the impeding advances from the Camry, Accord and others. A multitude of trim levels are on offer starting with the 2.5 S, SV and SL as well as the 3.5 SV and SL trims. Base models have keyless entry and start, traction control, AUX input, MP3 interface and dual airbags. SV models add cruise control, Bluetooth, USB, 5-inch display with USB input, rear camera, parking sensors and 17-inch rims. SL models add power seats, remote engine start and upgraded air con. V6 SV models benefit from the specs of the 2.5 SV and adds paddle shifters behind the wheel, while SL trim adds leather seats, xenon headlights and in full trim, navigation. Both engines return for another few years both with a slight increase in power, drive is still sent to the front wheels via a CVT transmission having dropped the manual transmission from the Altima lineup. Recently unveiled in the GCC region, 2017 models have gone under the knife once again and pinch a little something from other refreshed Nissan’s including the shiny V grille, sharper headlights and rear tail lamps. Revisions are only apparent for the exterior as interior options remain identical to the previous generation. Both engines return for the eighth year in a row, having only their output slightly increased once again.